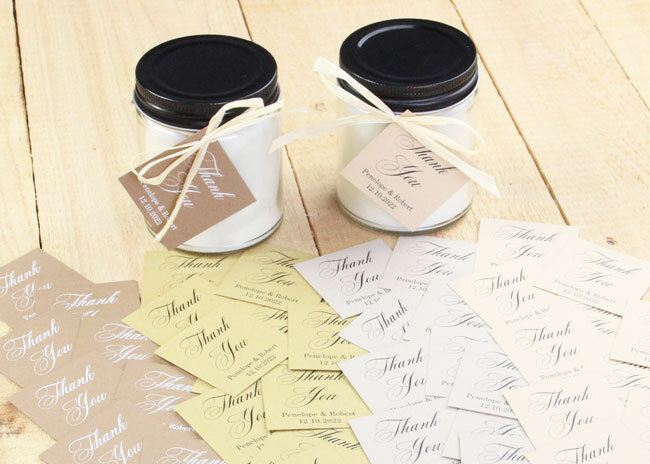 Easily create this lovely set of personalized wedding favor tags that simply say “Thank You” with the couple’s names and date. 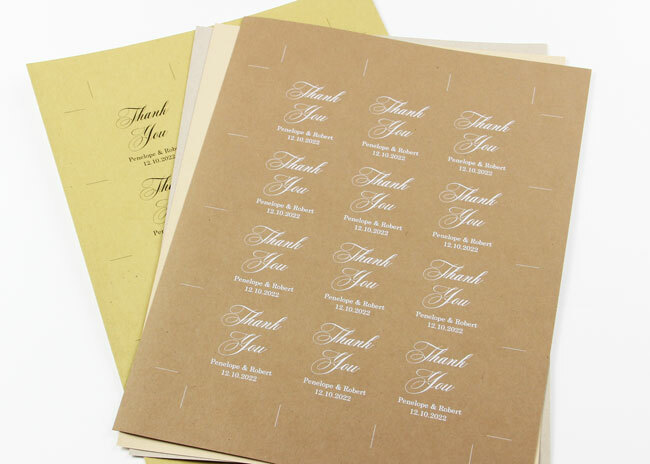 There’s something about the simple, natural, unpolished style of kraft paper that never gets old! We printed on our four favorites shown here: grocer kraft, desert storm, husk and honeycomb but you could use almost any kind of card stock for a unique look. Download the template and customize by entering your names and date. 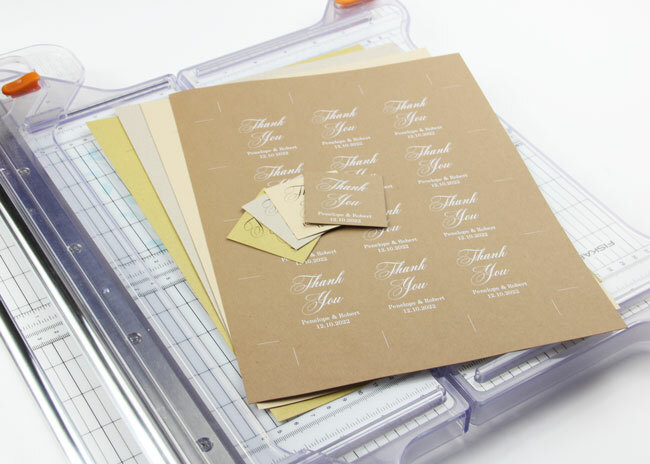 Cut wedding favor tags using your preferred paper trimmer. 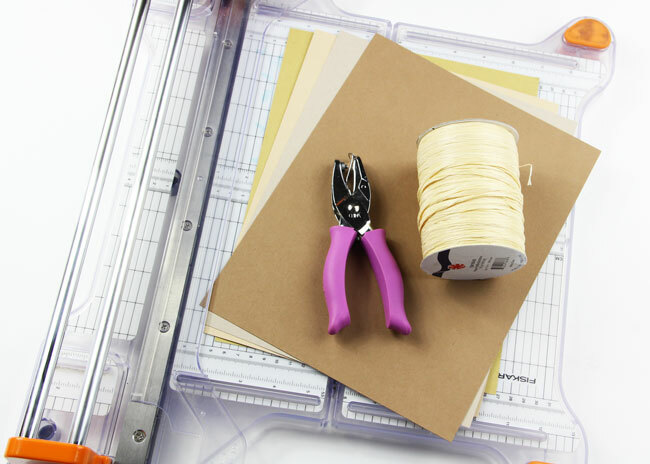 Use small hole punch to punch a hole in upper left corner of tag. 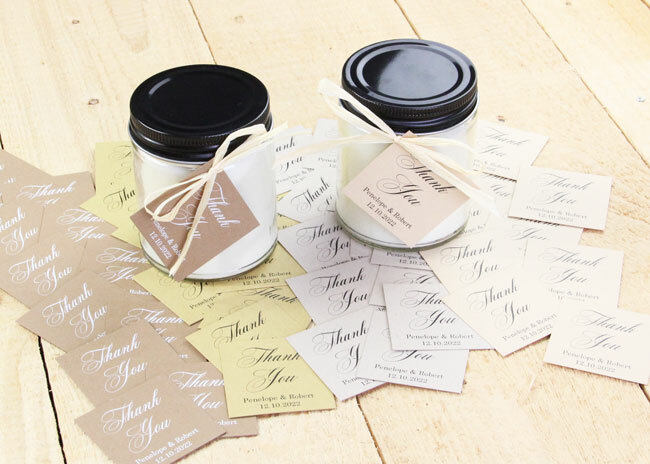 Don’t want to stress over printing & cutting your Wedding Favor Tags? 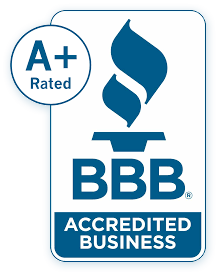 We can do it for you! Please get in touch with us for a quote and to place an order. 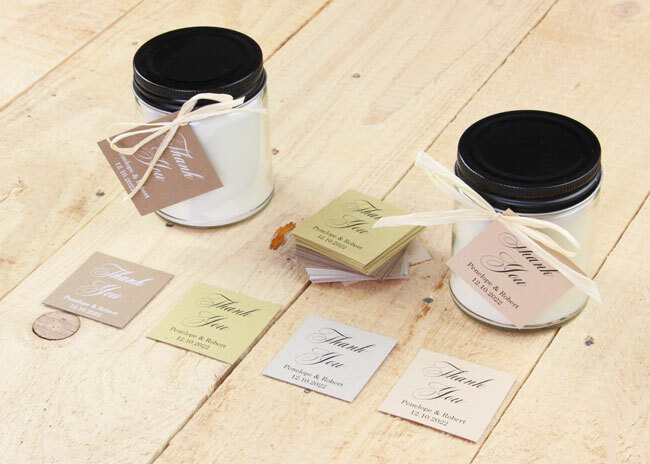 For a sharp and unique look, we offer white printing on invitation cards, envelopes, place cards, bands and more. 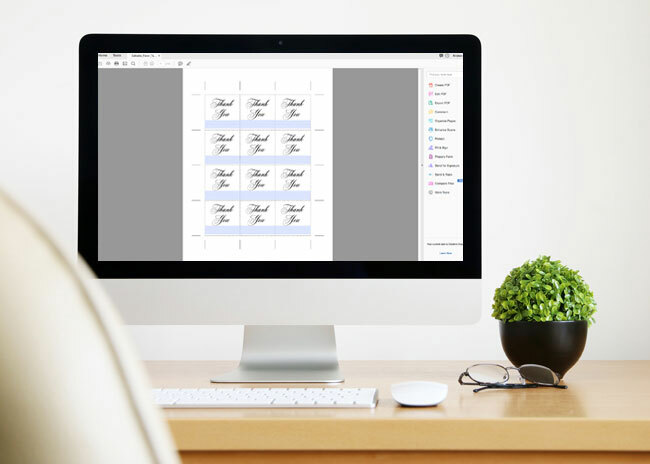 Supply your own custom design to be printed on your choice of hundreds of colorful papers and envelopes. Printed orders ship in 5 days or less.